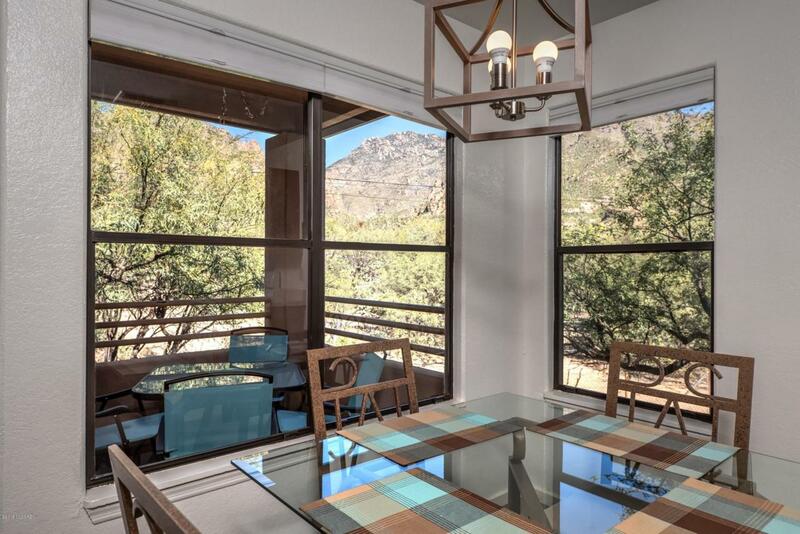 Private 2nd floor turnkey condo overlooking the Ventana Canyon Trail in the resort style community of Canyon View At Ventana Canyon. 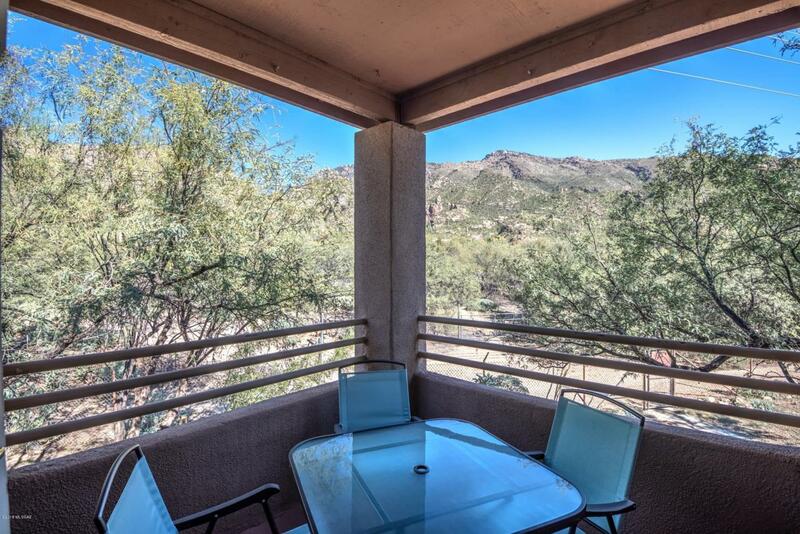 This Northern Tucson property is being sold fully furnished and features an open floor plan with an abundance of natural light, wood burning fireplace, spectacular Catalina Mountain views, covered patio, master suite with walk-in closet, dual sinks in bathrooms, washer/dryer in condo and a convenient location near shopping, restaurants, hiking and world class golf & tennis. 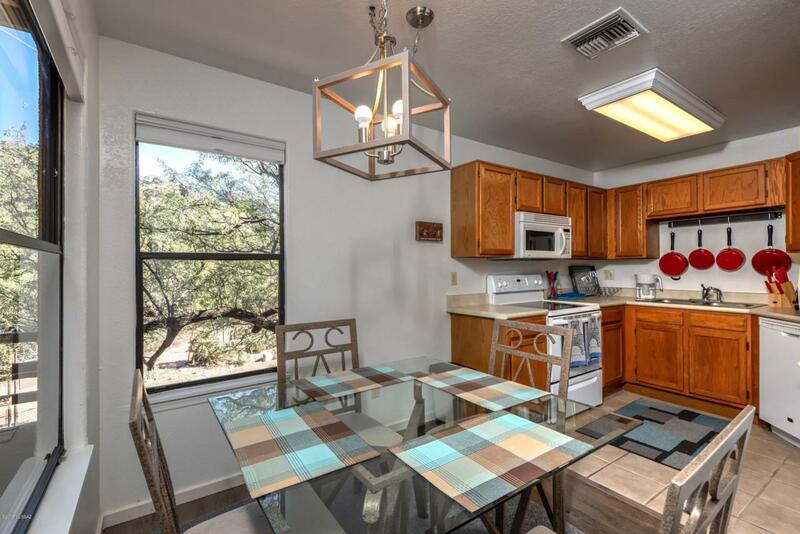 The Canyon View Condos include two heated pools & spas, business center, two spacious clubhouses, bbq areas, tennis court, on site HOA manager, exercise facility and professionally landscaped grounds with lush desert vegetation. 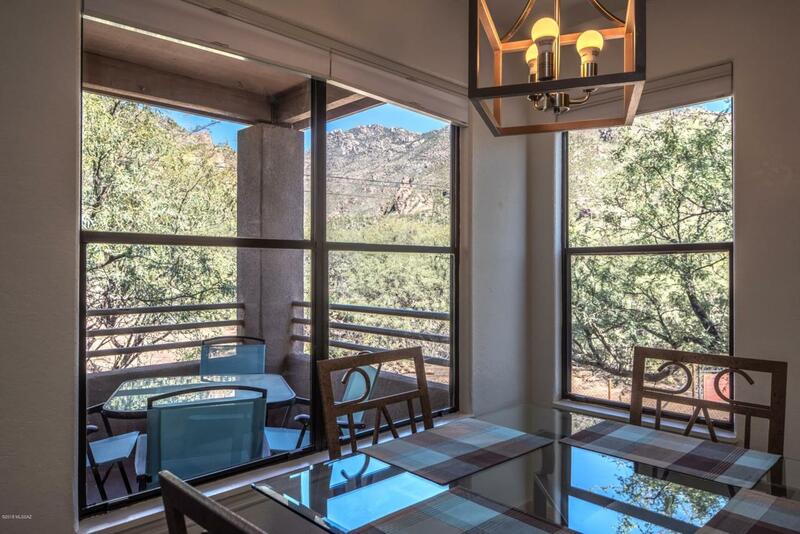 Condo is rented for February & March for $5,000 total.